The little long-eared beagle puppy Johnny Thompson received for his sixth birthday has gained quite a reputation around the county for being somewhat of a hero. In fact, so extraordinary and unbelievable are his actions, that some have even wondered if he may be more than just an ordinary dog-possibly, an angel. But none have wondered that more than Johnny. However, when tragedy raises its lethal head, and an unseen enemy strikes at the very heart of the Thompson family, the courageous canine's limits and abilities are pushed to the max. Will Johnny's forever friend be able rise to the challenge, or will this new "enemy" be too much even for him? 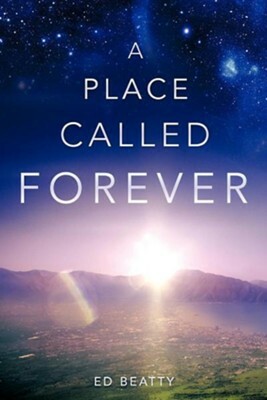 A Place Called Forever is a real life (other world) story that everyone, who has ever had a child or cherished a pet, can relate to. It's all about love and the distance it is willing to travel to be near and protect the object of that love. Join Johnny, his family, his beloved pet, and a mysterious painting as they take you on an astonishing journey that will test the very foundation of their faith and love-as well as your own. It is a journey which begs the question: Is there a love that really lasts-forever? I'm the author/artist and I want to review A Place Called Forever.